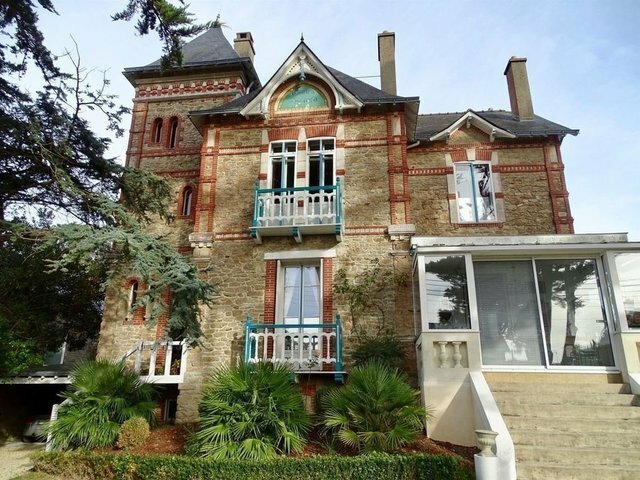 Pornichet-Centre Ville-Exclusivité Sotheby's: The Villa "SIGURD" An exceptional place with an exceptional past and character, is part of the richness of a heritage of surprising and seductive villas. This unique property was built in 1883 by the architect G. LAFONT, it offers two magnificent reception areas, very beautiful heights under ceilings, it develops an infinite palette of shades, period parquet floors, woodwork, floral frescoes, coffered ceilings, fireplaces and a beautiful luminosity. On the first floor, a sublime master suite with private bathroom, 3 bedrooms with a neat decoration. On the garden level, an independent master suite with spa. A garden hidden from view and only a few meters from shops and beaches, houses several parking lots, this villa will seduce you with its location and its undeniable architectural features. Contact: Grégory Thouzé: 06.16.28.53.14.